Remember the rumour last month about the stage builder and home run contest mode being added to Super Smash Bros. Ultimate in a future update? Well, it looks like one of these modes has been confirmed. After dataminers found files within the 'How To Play' section of Ultimate referencing the two modes, a new commercial for Smash Bros. Ultimate has now seemingly teased the return of stage builder. At the very beginning of the video, there's a glimpse of this mode in the right-hand corner of the game's menu. This clip has us wondering when exactly the stage builder will be added to the game and if this means the home run contest is also on the way. If the existing rumour is anything to go by, the stage builder is likely to show up alongside Joker in the next major update (version 3.0.0). Are you excited the stage builder mode is returning to Smash Bros. Ultimate? Tell us down in the comments. Cool. Making levels in Brawl was fun. Please let it be more like Brawl. Smash 4s Stage Builder was waaaaaay too limited and drawing the stage never quite felt right. Ooooopppppssss. Guess that good old Nintendo Direct on Thursday morning will clear things up! Exciting. Hopefully it is better than Smash 4’s stage maker. Despite having a plumber as their mascot, Nintendo can not get him to fix up the easiest of leaks. Yes, finally! i've been wating for this. i hope they improve the mode and not make it like Brawl or Smash 4's. I hope they have a function to share stages. In brawl every few days or so, you would get random stages from people.....add something like that please! Would love to create and recurve stages from friends and people on the internet..... Would be cool. This is Brawl's stage builder. Brawl's stage builder is easy and fun. Be like Brawl's stage builder. Can't wait to play with this! Stage builder was a lot of fun in Brawl but it had quite a few problems I wanted addressed in Smash 4. Some of those problems we're addressed, but brand new ones were added and overall Smash 4's stage builder felt more like a sideways movement than an upwards one. Hopefully here we get a stage builder with less limitations than both Brawl and 4. Woooo! Hopefully more content comes back! This is great, i would love to create troll levels to have some wacky fights with my friends. Hoping for it to be based on Brawl's, had way more fun with that one compared to Wii U's. Well I guess this'll hold me over till Mario Maker. Better late than never! I hope it’s like Brawl’s, though. I'm sure they leaked it on purpose, haha. Why can't Nintendo be direct and tell us themselves? Question now is, "will we see the return of drop boxes?" This is cool. Looking forward to it but I wonder if it will be part of the DLC or just included for free. After finishing the World of Light I told myself that I wouldn't play Ultimate until I completed all the challenges in Smash WiiU. It was going great until the complete "All Star on hard with all the characters" challange. All-star mode on hard seems unfair in this version and it is making me pull out my hair, so excuse me while I vent a bit. Why are the computers projectiles so strong? All the characters seem to have weaker attacks, which is expected, but their projectiles seem to be full strength. So many times I would be having a good run only to have a dumb charged projectile, or projectile classed Smash completely obliterate me. Pretty much every group has multiple projectile users and they seem to love using them at the worst moments. Also why do the computer fighters seem to be in some kind of hyper mode on certain stages? Like if I get the wrecking crew stage my attempt is pretty much over. I can't seem to get away from them and if I go on the offense I can't seem to hit them, they always seem to be spaced in such a way to combo me back and forth and Samus, Zelda and Duck Hunt have some pretty deadly projectiles that always seem make short work of me. The stupid Mega Man stage is terrible as well. The yellow devil does not seem to want to leave the fight alone, which wouldn't be so bad if it could at least block Mega Man's stupid deadly projectile smash attack. I generally enjoy All-star mode but this particular version seems unfair. Sorry about that, I just had to get all of that off my chest. I would utterly lose my mind if they added Smash Run. I'm not kidding. Also there's room for six more stages at the stage select. We know five more will be added via DLC...so I guess the sixth spot will be custom stages! I hope it is an expanded version of the one in Brawl. The one in Wii U was a major downgrade that I never used. @Der Given the troll move Nintendo played with the Smash tournament ("Joker Approaching..." followed by no announcements), I think it was on purpose too. I really hoped they wouldn't have leaked this, now the surprise is ruined. But whatever. Nice that it's coming back and hope that it's gonna be better than the previous versions. So basically i'm hoping this stage builder would be a mix of BOTH Brawl's and SSB4WIIU. With some mayor improvements. And some elements borrowed from Super Mario Maker like one way-platforms. GIMME ME THE GOLD GIMME THE GOD DAM GOLD!!!!!!!!!! That's good news. I created like 50 or more stages in Brawl's Stage Builder. A step closer to being the best Smash in the series. Really hope that you'll be able to draw your own backgrounds this time. Huh, looks like Nintendo spilled the beans after they barely mentioned the 3.0.0 update on the last Direct! Anyway, pretty cool that it's making a comeback. Like many people here, my ideal solution is to have it like Brawl's stage builder and have the touch screen controls optional. Given that the Switch can be either docked or in handheld mode, I am sure that it will be like Brawl's. We won't know for sure until Nintendo talks about it, obviously, but that's my prediction. With 100 stages already and Super Mario Maker on the way, I really don't feel that I need this, but I appreciate having bonus content like this. I really just want them to remaster the remaining handful of Smash stages that didn't come back in Ultimate. This was the one thing I was missing in Ultimate. Had tons of fun with it in Brawl. @Giygas_95 The fact (we can say that now, right?) that they're adding modes after release does give me hope that we'll see Smash Run return with customizable modes and events. IMO, it was one of the best modes to add to Smash Bros. Only held back by the fact that so few still played the 3DS version after Wii U came out. I hope the stage builder is like brawl's. I had a giant clock stage that I really liked that I would love to make again. Anyone else have any built stages you miss? Sweet, i can see myself having some fun with this. Nintendo got sick of Best buy leaking there stuff so they decided to do it themselves! Personally I see Spirit mode as an improvement on Smash Run in every way. Man Nintendo. No big announcement just a subtle wink wink nudge nudge in one frame of your ad. Wow. This is so Nintendo. Honestly though, there's so many leaks recently that are pretty much valid in every way I'm not surprised people think there's a Direct coming, regardless of whether or not a Direct actually is coming. It won't return until a while after the release of Mario Maker 2, is my assumption. Wouldn't want the new audience to already have had disappointing encounters with their own creativity and entrepreneurial endurance, before happily forking over for another Wii U Game 2.0 that centers entirely around the prospect of just that. Another win for data miners! Our heroes. About time. 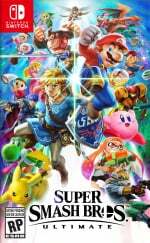 As much as I love Ultimate, the title has only made the absent features more glaring. Just wanna join in.... hope it’s like brawl... no one else has mentioned brawl right?? Nintendo starting up they're own rumours, are they? Reggie wants to have a few final jokes before he heads off! This probably wasn't a leak, it was intentional. @AlternateButtons You have that backwards. Neither one was great, but Smash 4's was definitely more versatile. 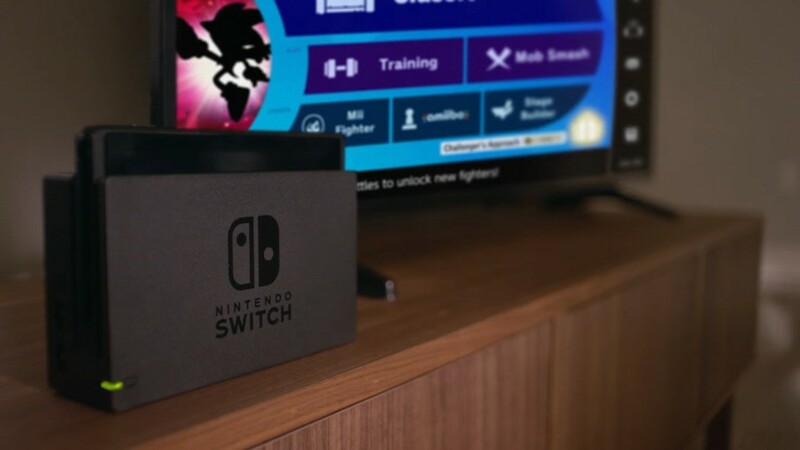 I assume this will be more like the Brawl stage builder instead of Sm4sh's stage builder since we wouldn't have a screen in our hands if playing docked. I had so much fun building stages in brawl. Sm4sh's was straight garbage. I hope stages are easily shared or some way to play them online with friends. Oh man, time to make my Royal Rumble Stage Version 3.0. Hopefully we get to play 8 player Smash in them too. Small Battlefield would be nuts with 8 players. @Dr_Corndog Smash 4 was extremely limited and had fewer pieces to work with. Also the grid system was far more intuitive than drawing stages by hand. Sorry but you're wrong. This was the one thing I really wanted as DLC. Custom game modes, here I come!